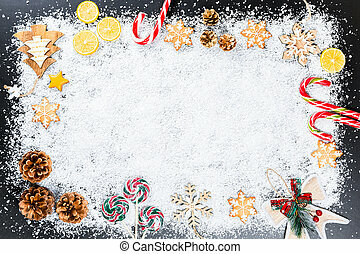 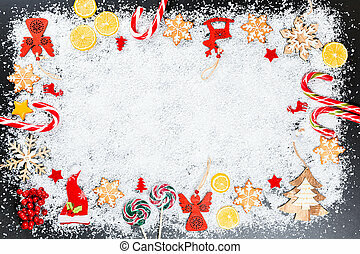 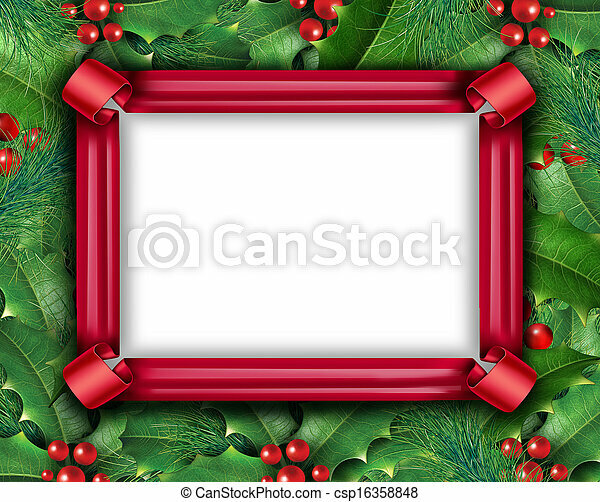 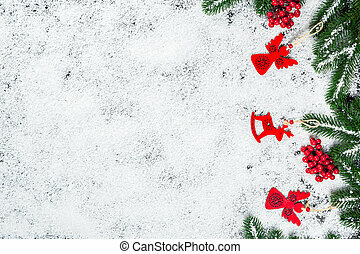 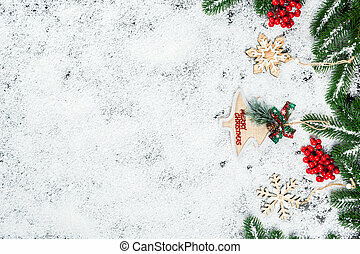 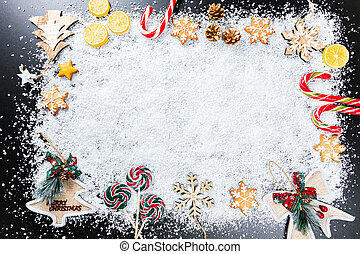 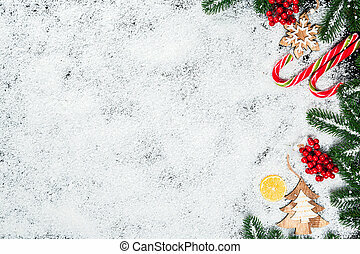 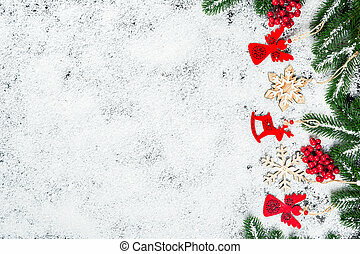 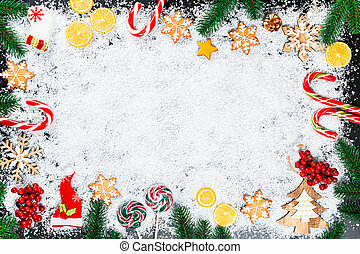 Winter holiday frame with a red ribbon and Christmas holly with with red berries and green leaves with evergreen pine needles on a blank white background for copy space as a festive new year and seasonal decoration. 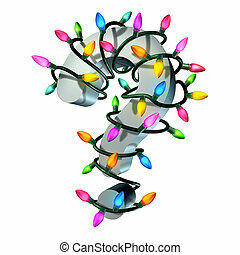 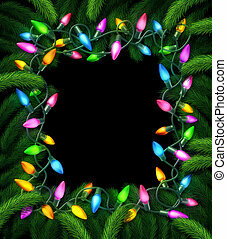 Holiday lights frame and new year christmas decoration on a black background with pine branches as a decorated border with illuminated colorful electric bulbs. 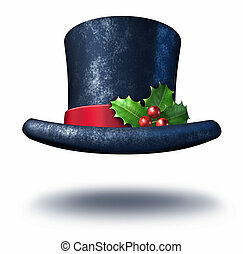 Winter holiday top hat with green festive holly leaves red berries on a silk ribbon with a white background as a magical Christmas celebration icon and snowman symbol as a traditional seasonal design element. 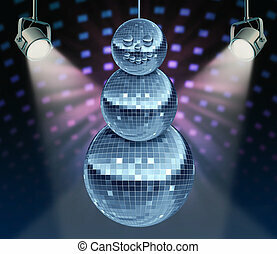 Winter holiday music symbol with Dance night disco balls as a mirror sphere in the shape of a snowman for festive fun and new year celebrations dancing party in a nightclub or dance club with glowing stage lights. 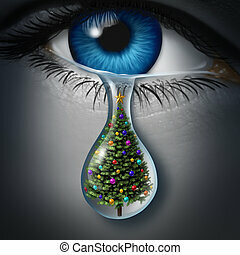 Holiday depression and winter season anxiety and emotional crisis concept as a human eyeball crying a tear with a christmas tree inside as a metaphor for seasonal sadness. 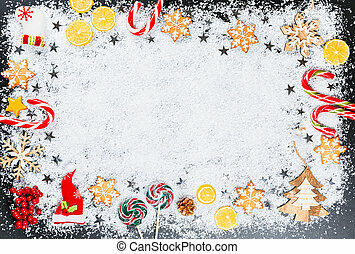 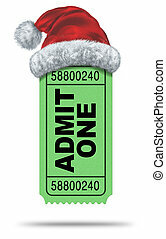 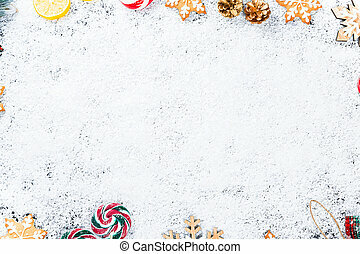 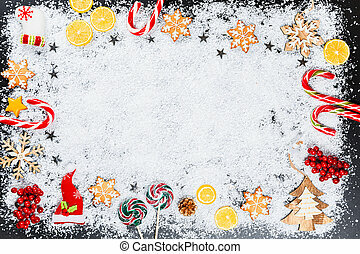 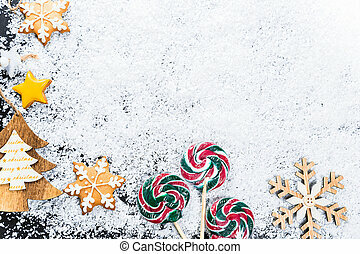 Holiday movies and Christmas movie flicks with a green admit one ticket stub and a santaclause hat as an entertainment symbol of the winter film industry cinematic releases on a white background. 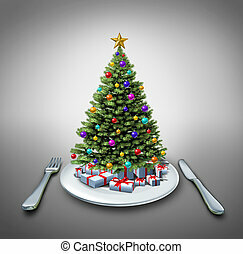 Holiday dinner and winter celebration food recipe as a decorated pine christmas tree on a table setting with a plate fork and knife as a symbol of eating during the holidays. 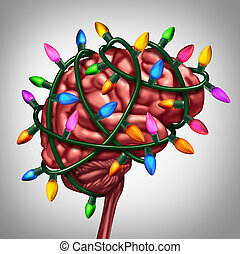 Holiday thinking and christmas memories concept as bright festive lights wrapped around a human brain as a metaphor for winter seasonal ideas as a new year and celebration symbol for decorating or gift giving inspiration. 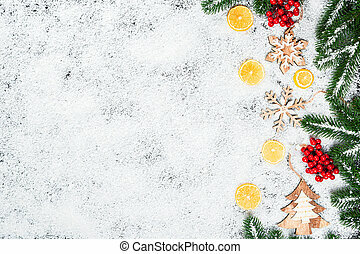 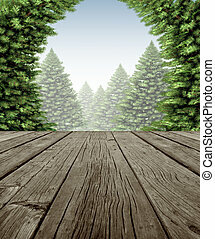 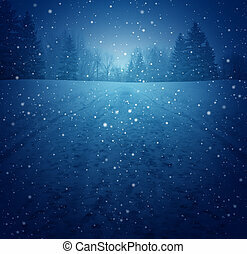 Winter landscape concept as a snowing blue background with a pedestrian road in perspective with foot prints leading to a forest of trees as a festive seasonal symbol of a tranquil and traditional holiday scene. 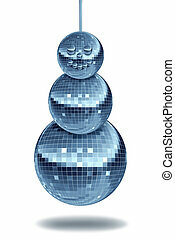 Winter party with holiday dance music symbol with night disco balls as a mirror sphere in the shape of a snowman for festive fun and new year dancing celebrations in a nightclub or club on white. 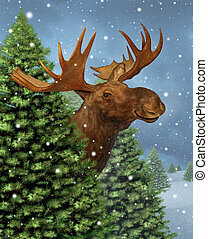 Winter moose hiding behind a group of mountain pine trees as snow is falling down as a nature and wilderness concept with a happy smiling furry friend northern animal for the holiday season or Christmas card. 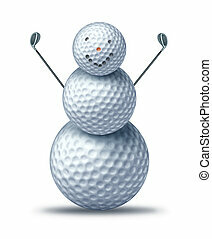 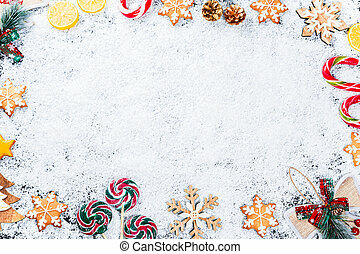 Winter golfing and holiday golf symbol represented by golf balls placed to look like a happy smiling snow man or snowman holding driver golf clubs showing winter holiday activities for seasonal sports leisure vacation at a resort. 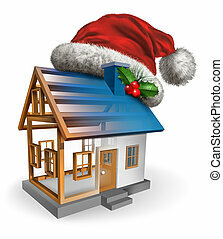 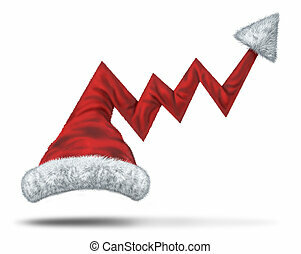 Holiday profits and Christmas sales with a santaclause hat in the shape of an upward financial graph with an arrow pointing to big winter seasonal success in retail and services sector on the internet and traditional stores.